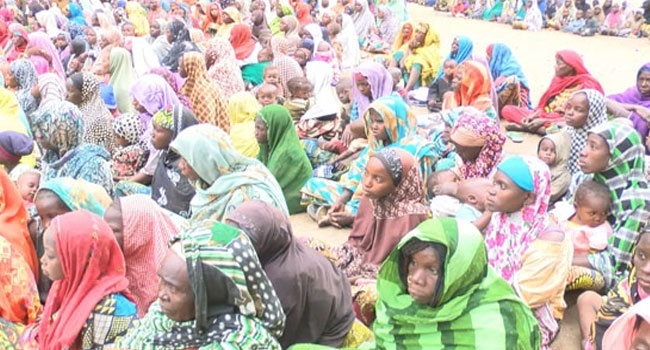 Over 40,000 persons have fled their homes between November 2018 and January 2019 in Rann area of Borno State and the area is cut off from aid delivery as jihadist push for Islamic caliphate. Some 76,000 Internally Displaced Persons (IPDs) in a community in Borno may be in dire need of food in coming days except members of Boko Haram are pushed out of the area totally. Aid delivery to the IDPs in Rann was interrupted by jihadists pushing for an Islamic State and an end to Western education in the region. The Islamic State of West Africa Province (ISAWP) has claimed responsibility for the attacks on Rann and the development is a source of concern for the United Nations. On Friday, the United Nations Humanitarian Coordinator in Nigeria, Mr Edward Kallon, expressed concern over the interruption of aid delivery. The spokesperson for the UN Office for the Coordination of Humanitarian Affairs (OCHA), Mrs Samantha Newport, said in a statement that the interruption in delivery of humanitarian assistance to Rann was a direct result of an attack on the military base on January 14. "The attacks on Rann that are increasingly frequent are having a devastating impact on the civilians taking refuge in this isolated town. "And severely affecting our ability to deliver life-saving aid to women, men and children in need. “I urge the Government of Nigeria to protect civilians, including aid workers,” Mr Kallon said. "Many of these people are converging on already congested camps or sites for Internally Displaced People, forcing hundreds of individuals to sleep in overcrowded shelters or outside," Newport added.